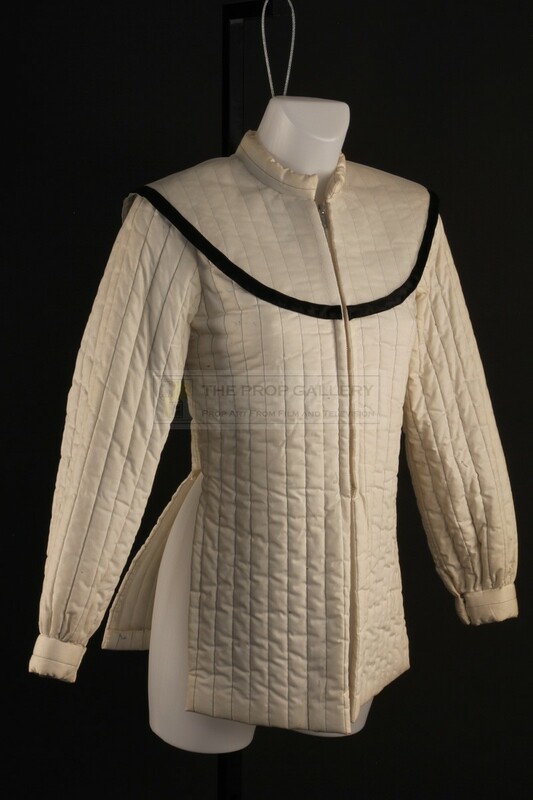 An original costume used in the production of the long running BBC science fiction television series Doctor Who. 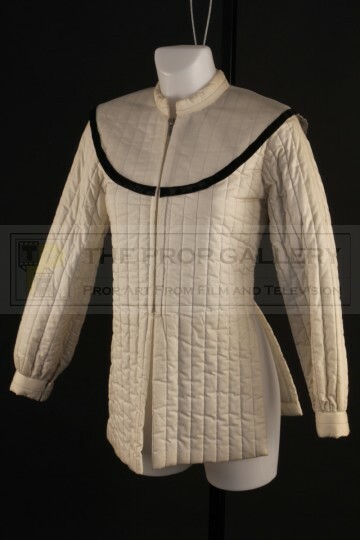 From the 1980 serial Meglos starring Tom Baker as The Doctor this costume was worn by Colette Gleeson as Tigellan Caris. 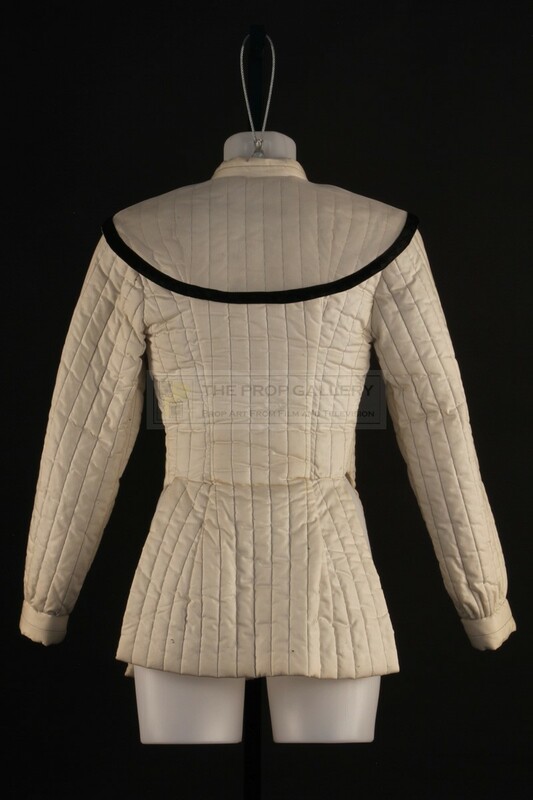 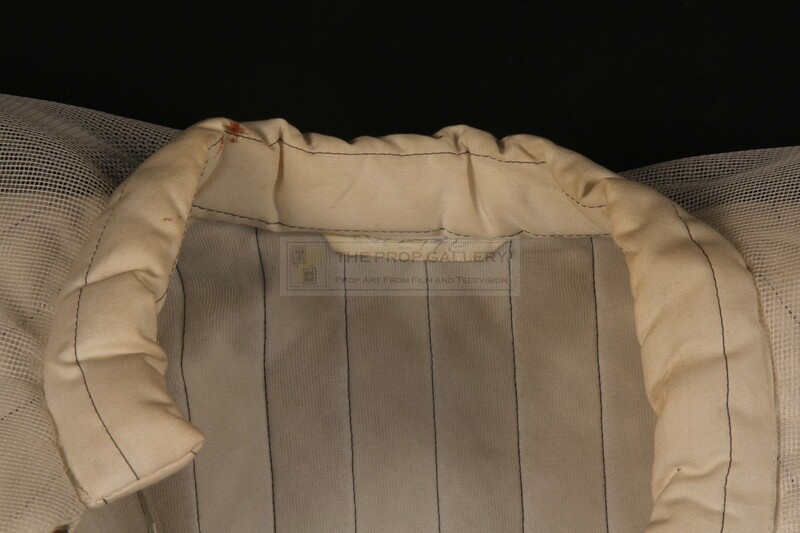 The costume is one of two bespoke made for Gleeson by the BBC Wardrobe Department and is constructed from white quilting with net detailing to the shoulder area featuring a material label to the interior collar which is hand inscribed 'COLETTE' in blue pen. The costume remains in excellent production used condition throughout, generally fine. 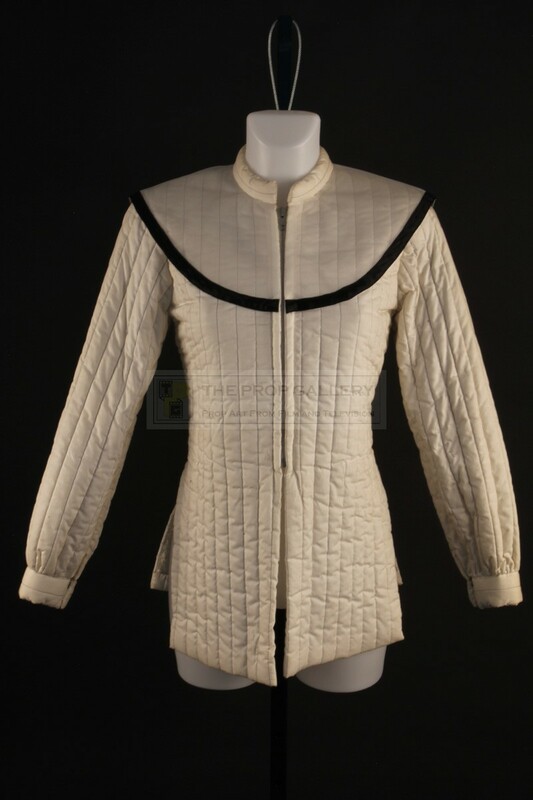 A rare example of principal character costume from the Tom Baker era of this classic science fiction series.